Walnut trees originate in the Kyrgystan region, where you can still find large walnut forests. The tree has spread across Europe where it is loved for its delicious nuts. 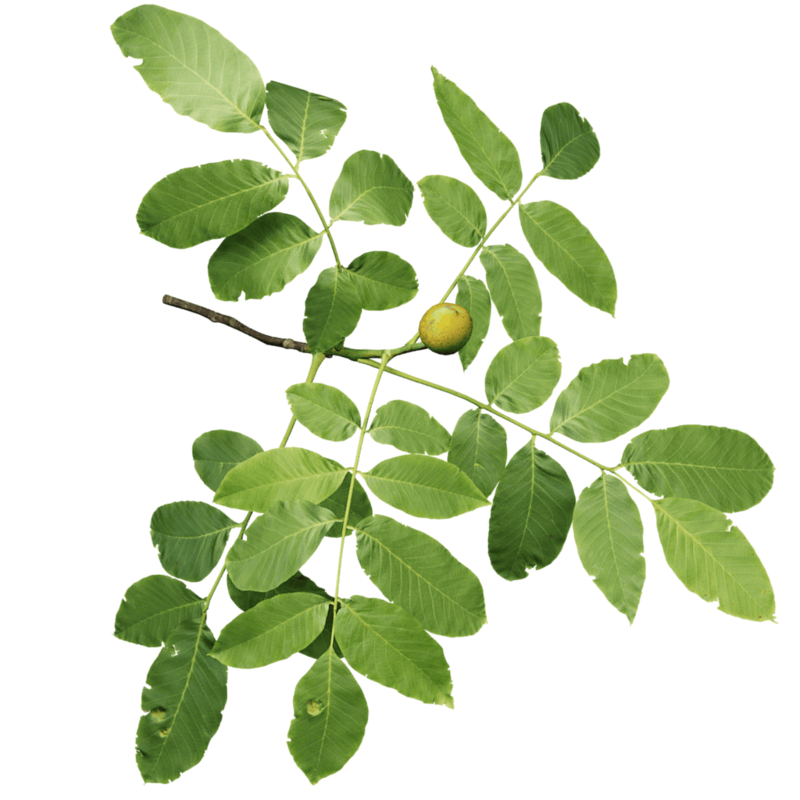 As you can see, a walnut twig has very big leaves that consist of around 7 smaller leaflets. The leaves are a fresh green color. In the open, a walnut tree will grow an impressive wide dome shape, much like a European oak.